Mr. Curry Named Region 10 Outstanding Principal of the Year! Recipients are nominated and chosen by their peers within their regions for exemplary performance and outstanding leadership. With this recognition, Curry will now be eligible to compete for the state title of Texas Principal of the Year. Honors and recognition aside, Curry keeps his eyes fixed on the goals of success and belonging for his students. 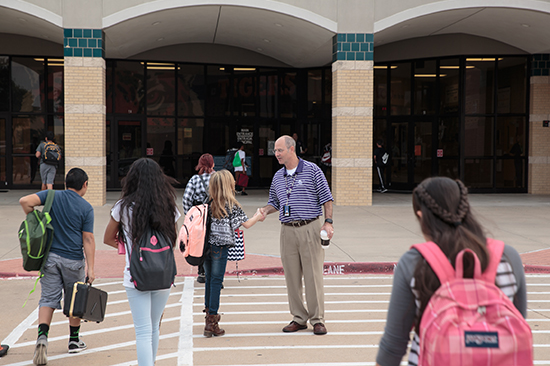 All the high fives and hand shakes are small, but important, efforts to help them get there. “I hope that all students who come through SJMS feel that they are part of our family and that we tap into their hopes and dreams,” he says. “Our mission is to set their dreams in motion and enable them to reach their full potential. 2017 Teacher of the Year - Paul Stephens! 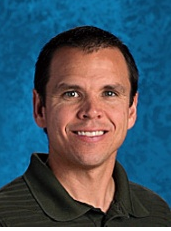 ​Paul Stephens was voted SJMS Teacher of the Year for 2017. Mr. Stephens has been the band director at SJMS for 17 years. His love for students and music are obvious to all who meet him. 2016 Teacher of the Year - Josh Glory! Josh Glory was voted SJMS Teacher of the Year for 2016. Mr. Glory is a 7th grade science teacher that strives to make a difference in each of his student's lives. He is well loved and respected by all the students and teachers here at SJMS. Mr. Warren was named The Region 10 Texas Association of Secondary School Principals Outstanding Assistant Principal for 2015!!!! Although Dave has been very humble about this distinction, we are extremely proud. Our campus AVID coordinator, Valerie Schraplau was voted SJMS Teacher of the Year for 2015. She brings enthusiasm, compassion, and expertise to her role each day. She believes her position as AVID Coordinator is where she is meant to be, and we could agree more!